Over 4,000 foreign domestic workers have completed Aidha courses as of December 2017. Our research shows that for every woman who goes through our programme, nine lives are impacted, as students share their knowledge with their families back home. That’s 36,000 lives changed, not to mention the positive impact on their communities, located in some of the poorest countries in the Asia-Pacific. At Aidha, we are committed to building an evidence-based programme model, informed by strong research and robust programme data. 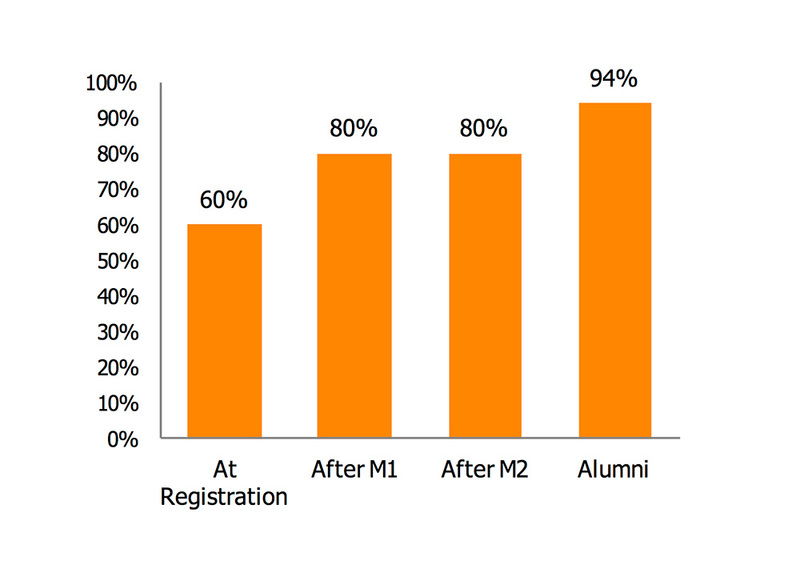 To assess our impact, we administer an extensive survey to all of our students for when they first register for Aidha and upon the completion of each module in order to track their progress over time. This survey collects demographic data, data on students’ savings, spending, asset and business ownership. 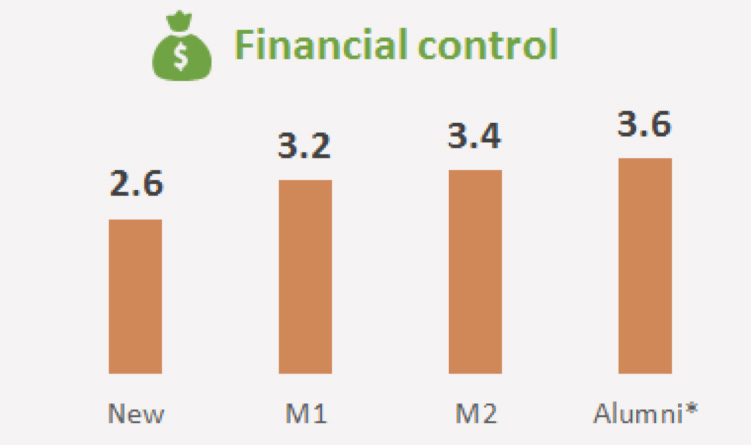 It also assesses their confidence levels in various areas including financial control, business capability, IT skills and personal self-confidence. 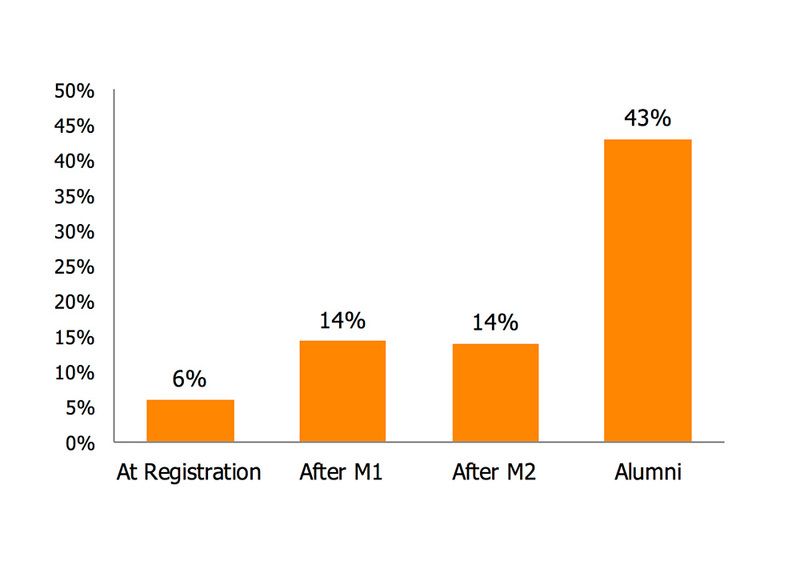 To round off our dataset, we also administer surveys to our alumni from time to time. In addition to the data we collect via this survey (which we have developed in collaboration with our research partner, Kadence), we also gather further quantitative as well as qualitative feedback from both the mentors and students on our curriculum and various supplementary programmes. 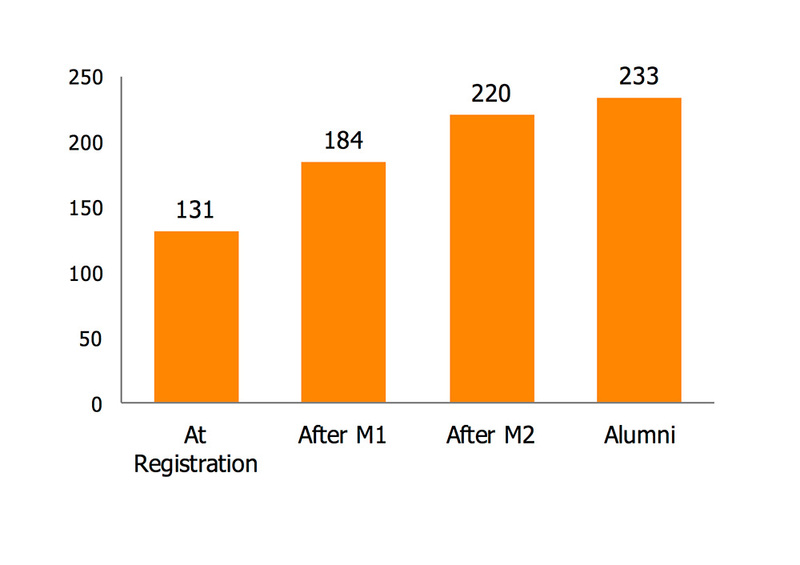 Monthly savings amongst students increase by 40% after Module 1 and by 78% amongst Aidha alumni. The number of productive assets owned (including a house/renovation, building, land, vehicle, livestock, machinery/equipment) doubles amongst alumni. 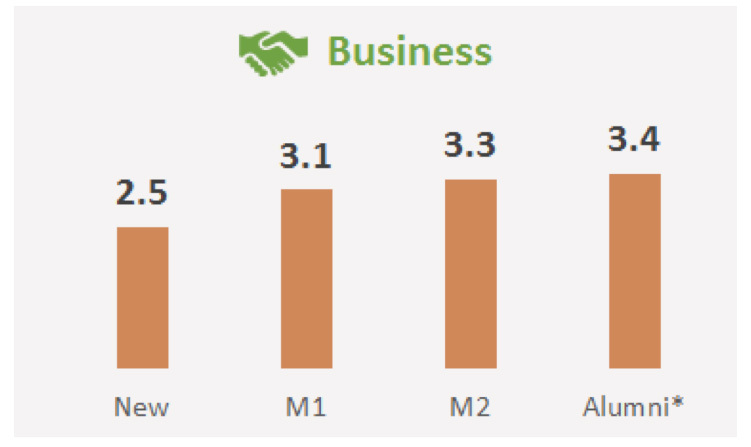 Business ownership amongst students increases from 6% to over 40% as they progress through the curriculum. Many Aidha alumni continue working in Singapore and start businesses at home with their families. For every student at Aidha, on average nine lives are impacted. This is based on their average number of dependants, the average number of businesses they start and the average number of employees these businesses hire. Our students identify the change in their confidence levels as one of their main takeaways from our courses. Students report improved self-esteem, increased feelings of control in personal situations and the belief that they are able to perform tasks well. *Based on average responses from students who agree that they are comfortable managing their money and resolving any financial problems on a 5 point scale. Aidha students progressively gain more confidence with managing their money and solving money related problems. *Based on average responses from students who agree that they can run a business effectively and identify business opportunities on a 5 point scale. Students feel more comfortable identifying business opportunities and running their own businesses successfully. 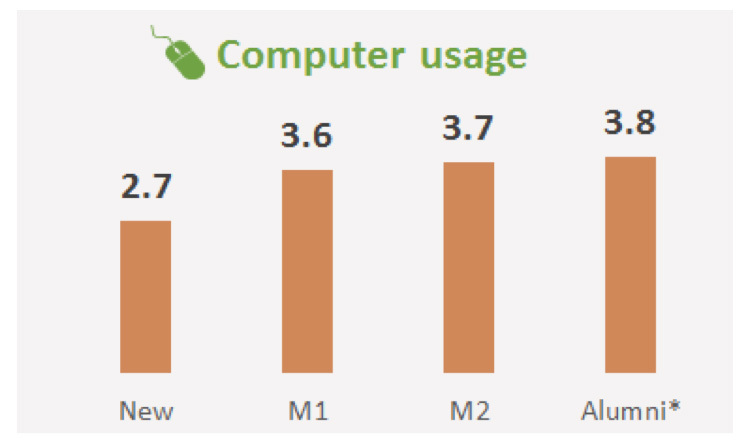 *Based on average responses from students who agree that they are comfortable using computers and the internet on a 5 point scale. Students gain confidence with basic computer skills and using the internet. *Based on average responses from students who agree that they can make effective decisions and communicate and work well with others on a 5 point scale. 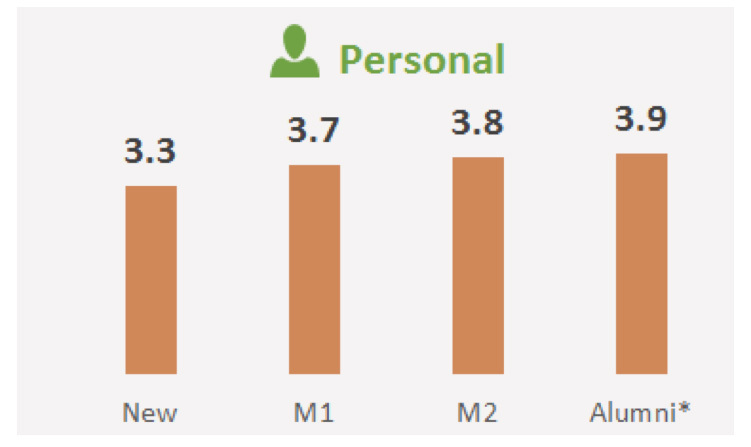 Aidha students remain most confident in personal skills (feeling in control of personal decisions and communicating and working with others).